Robert Lowry (1826-1899) has provided us with many of the most venerable nineteenth-century texts and tunes from the United States. The Philadelphia-born author and composer of this hymn was a popular Baptist preacher and educator who served churches in Pennsylvania, New York City, Brooklyn, and Plainfield, New Jersey. Lowry, a graduate of Bucknell University, was a professor of belles lettres in the University, receiving a D.D. in 1875. He became known for his gospel songs while ministering in Brooklyn, collaborating often with William H. Doane in producing some of the most popular Sunday school song collections of his day. The Rev. 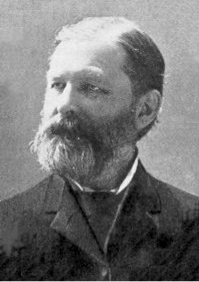 Carlton R. Young, editor of The United Methodist Hymnal, noted that "Nothing but the Blood" "was near the top of the list . . . on the most popular religious songs found in the five widely used hymnals and songbooks other than the 1957 Evangelical United Brethren and 1966 Methodist hymnals." For many, however, this hymn is anathema, especially for those who loathe "blood" hymns. "Nothing but the Blood" has all the earmarks of a classic gospel song. It focuses on a single theme and hammers it home. The singer will repeat the text, "nothing but the blood of Jesus" twelve times if he or she sings all four stanzas. The refrain is succinct and reinforces the theme. The language is direct and obvious, with all one- or two-syllable words. The theme of cleansing from sin is prominent in gospel song literature. Hebrews 9:22 appeared originally above the hymn in the original publication by Lowry and William H. Doane entitled Gospel Music (1876). The passage reads: "Without the shedding of blood there is no remission of sin." Lowry adapts a call-response pattern in the stanzas that immediately engages the singer. Stanza one begins with a question: "What can wash away my sin?" The answer is resounding and definitive: "Nothing but the blood of Jesus." This is followed by a second question: "What can make me whole again?" Once more, the answer is unequivocal, "Nothing but the blood of Jesus." This call-response pattern, along with the sturdy, almost martial rhythms of the music, gives the effect of cheerleading. Themes of pardon, cleansing, atonement, and righteousness permeate the remaining stanzas. The United Methodist Hymnal changes one word in the refrain. The original text is "white as snow," an allusion to Isaiah 1:18, "though your sins be as scarlet, they shall be as white as snow." The hymnal committee changed this to "bright as snow." Heaven is the destination of many gospel songs; and this hymn, in its original form, continues this pattern. It is perhaps this hymn, along with others such as William Cowper’s "There Is a Fountain Filled with Blood" (UM Hymnal, No. 622) that offends the sensibilities of many twenty-first-century singers and, as a result, causes them to reject any hymn that mentions blood. A more discerning singer will look at each occurrence of the word in its context. For example, Augustus Toplady’s eighteenth-century hymn, "Rock of Ages, Cleft for Me," (UM Hymnal, No. 361) includes the phrase in the first stanza, "let the water and the blood,/from thy wounded side which flowed . . .." This is a description of a biblical event, the crucifixion. Charles Wesley often used the word "blood" in his hymns. However, it is not in a gory or gratuitous sense, but as a synonym for grace. One can often sing "grace" in place of "blood" in a Wesley hymn. For example, the last line of the fourth stanza of "O For a Thousand Tongues to Sing" (UM Hymnal, No. 57) could be sung, "his grace availed for me" and maintain its theological intent. "And Can It Be that I Should Gain" (UM Hymnal, No. 363) clearly equates the results of the shedding of Christ’s blood with mercy and love. Though many might relegate "Nothing but the Blood" to the past, it lives on in modern renditions, especially in evangelical contexts. Contemporary Christian artist Matt Redman incorporates this hymn into his song, "Nothing but the Blood." The popular Australian group, Hillsong United, has a well-known rendition that may easily be found on YouTube.